Autodesk Maya is developed and produced by the Autodesk Inc. It is also known as simple Maya software. Autodesk Maya is a 3D graphics editor for Windows, Linux, and Mac OS X. It includes various Maya features as well that are parallel rig evaluation, sculpting toolset, adaptive foam in Bifrost, etc. It assists the graphic designers and architects to create challenging digital animation products. It is integrated with the various effects, extensible CG pipeline core. The other technical features of the product are dynamics & effects, 3D animation, 3D modeling, pipeline integration, 3D rendering & imaging, etc. Autodesk Maya is regarded as best one 3D modeling and rendering application that can be used for creating 3D apps such as video games, animated movies, TV series, visual effects and much more. The recent version of the Autodesk Maya is the combination of two products and now the joint functions of Autodesk Maya are fur, fluid effects, Bifrost, classic cloth, nHair, Maya Live, nCloth, etc. Blender is a 3D and open source application for design animations, graphs that are best for the scientist, students, experts, VFX experts, game artists, modders and many others. Blender is a free and open source application that can be used for any purpose. Blender is a totally free software that can be used for free, change for free, share for free and also lets the users sell their work too. ShapeShop is an advanced and professional 3D design and modeling application that comes with an easy-to-use and user-friendly interface. It enables the users to create sketch-based shape creation and editing tools to simply translate the ideas in a 3D shape. ShapeShop is a sketch-based shape creation and editing tools that let the designers and artists to transform their virtual idea into a 3D form. Sketchfab is a web-based platform for creating and sharing 3D content, Sketchfab actually provides a 3D model viewer based on the technology of WebGL that ultimately enable the users to display 3D models on a desktop or mobile web page. Sketchfab is the platform of over 400,000 models. The list of available tens of thousands of 3D models includes 3D scans, 3D printable, animal, architecture, characters, games, objects, science, scenes etc. MARI is a 3D texturing and painting software. A software that is integrated with the power performance tools that enables the designers to handle even the most complex assets. In a today challenging world of VFX, animation and games development, MARI is one of the best options to deal with complex projects in a high creativity environment. The advantages of using MARI are paint quickly & intuitively in 3D. Misfit Model 3D is a 3D model editor that basically operates with triangle-based models. It can easily support the various multi-level undo, simple texturing, batch processing, skeletal animations, image filtering and much more functions. Misfit Model 3D supports various file formats including Misfit MM3D, Milkshape MS3D, Quake MD2, Quake MD3, COB and some others. The feature list of Misfit Model 3D includes multiplatform application that is available for Windows, Mac. MeshMixer is a designing application for giving your virtual idea a solid shape. MeshMixer lets the designers transform their boring stuff in a 3D stuff. MeshMixer is a multiplatform 3D designing application that is available for Mac OS X, Windows (32 & 64 bit) and Ubuntu Linux 64-bit. Basic designing tools like selection, drag & drop, filling, smoothing, making parts, basic controls & hotkeys, volume brush tools, etc. InkScape is a free, professional, and open source vertical graphics editor and regarded as one of the best replacements for Autodesk 3ds Max, Adobe Illustrator, Corel DRAW and Xara X. It is available for Windows, Linux, and Mac OS X. It is suitable for illustrator, designer, web designer and for those who wants to create vector imagery. The core features of InkScape are flexible drawing tools, broad file format compatibility. Autodesk 3ds Max is a modeling, rendering and animation software. It enables the designers, architectures, graphics maker to customize, collaborate, and create 3D content instantly. The technical features of Autodesk 3ds Max are 3D text tool, Geodesic Voxel and heatmap skinning, max creation graph animation controllers, camera sequencer, dual quaternion skinning, populate crowd animation, populate enhancements, character animation & rigging tools, general animation tools, animated deformers, 3D modeling, dynamics. 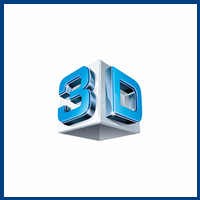 Cheetah3D is a 3D software for modeling, rendering and animation. Cheetah3D is designed initially for amateur artists, and so it focuses on offering features for originating simple 3D scenes. Its selection of attributes is narrow but aimed to add in its usefulness and simplicity. For instance, it supports a range of geometric primitives, including polygon meshes and Bezier curves. It aspects also offer for box modeling with subdivision surfaces.